Ditch the paperwork and start a Free Trial Now! See how our management software can help your business. 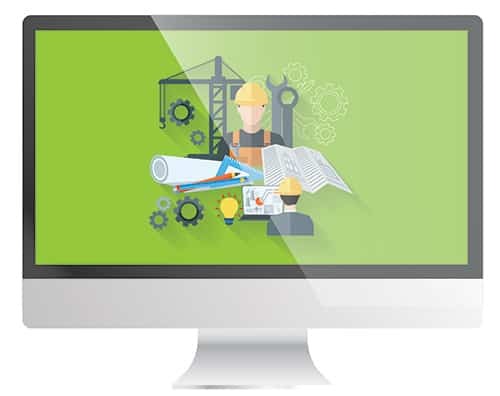 The Eworks Manager Construction Software works suitably with the construction industry, letting you schedule recurring jobs for those clients you visit once every two weeks, once a month or even once a year, you’re in control! Scheduling recurring jobs is a great way to plan maintenance work as this will automatically be created in the Eworks system for an admin staff member to assign to one of the mobile users, saving time having to create a job every time the job needs to be completed. With Eworks Manager, managing a construction project is effortless with our construction software. Being able to assign multiple workers to a job while capturing their time spent on the job takes away the hassle of capturing time sheets at the end of the day or at the end of that specific project. With our project planner you can now plan your projects and build up your costs. Quote for the work and automatically assign the jobs to all your operatives with one click when it has been approved. Making Eworks the construction software you must try. View your profit and losses report while a project is underway which allows you to act fast on transforming that loss into a profit. View employee reports and see field workers times spent on jobs and this will then allow you to spot an unproductive worker immediately by noticing a pattern in work. Create triggers in the system to notify other staff of events, for example when a job has been overdue for a certain number of hours, these triggers help remind you of important details on the Eworks system. With Eworks Asset Management Software, you can manage, create and maintain recurring jobs, urgent jobs, invoices against assets, recurring invoices and maintenance services so you can keep track of your internal assets whether that be your vehicles, customer assets or construction materials. Capture your assets on Eworks, and never miss a service or warranty date! Eworks is the perfect system for any construction business and once having it, you will question yourself on how you managed without it – Get in touch if you would like to find out more!